Commercial Pest Control Service in Carmel, CA and Surrounding Areas | Ailing House Pest Management, Inc. When pests are found in your business, it can negatively impact your customers, your employees, your reputation, and your bottom line. A single infestation can become a costly problem that interrupts productivity, jeopardizes inventories, and even poses serious health risks. With so much at stake, it’s essential to contact a highly-skilled pest management expert at the first sign of an insect or rodent infestation. As your trusted, local exterminators in Carmel, California and the surrounding areas, we take an integrated approach to protecting your business from pest infestations. From restaurants, retail spaces, and offices to working with property management companies and homeowners associations, Ailing House Pest Management, Inc. has the experience, expertise, and solutions to take care of all of your pest control needs. We successfully exterminate pests in a three step process that is designed to get rid of your unwanted visitors for good. We conduct a no obligation inspection to identify the type and location of your pest problem. We thoroughly pinpoint problem areas and make suggestions for structural and environmental modifications to eliminate both current and potential pest problems. After our inspection, we’ll create a personalized pest management plan, and implement the specialized treatment solution that eliminates infestations at their source. We offer a 30-day guarantee on most services along with year-round pest management plans to provide you with ongoing protection. 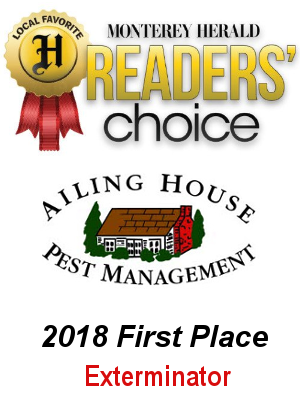 At Ailing House Pest Management, Inc., we understand the unique needs of our commercial clients and offer the industry’s most advanced pest treatments to keep your business pest-free. Every business is different. This is why we provide customized solutions to meet your specific needs along with highly responsive service to enable you to stay focused on your business, not unwanted pests. With a highly skilled and licensed team of pest control professionals, we have the experience and expertise to tackle even your most challenging pest control problems. We know that the last thing you want to worry about is dealing with pests. This is why we are truly dedicated to providing flexible, customized commercial pest management service that is aligned with your business goals. With same day service and unequaled customer service, Ailing House is a partner you can count on for all of your commercial pest control service needs. 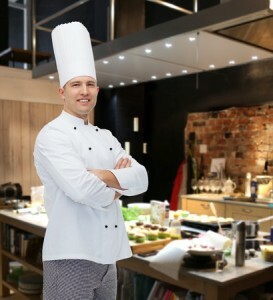 Don’t delay in protecting your business from unwanted pests. Ailing House Pest Management, Inc. offers pest control solutions specific to your industry and customized to your needs. For a free inspection and estimate, call 831-624-8211.